There's more than just the view from the observation deck! There are all kinds of things to enjoy at TOKYO SKYTREE. Free Wi-Fi is available at the TOKYO SKYTREE. 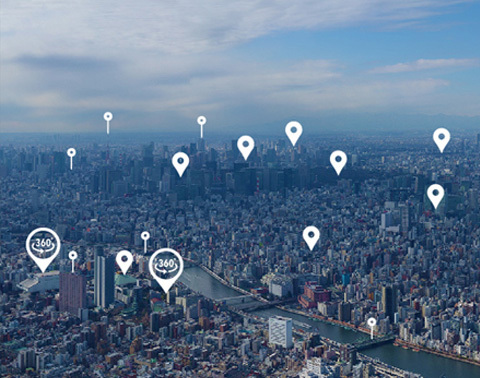 Find the charms of TOKYO SKYTREE! 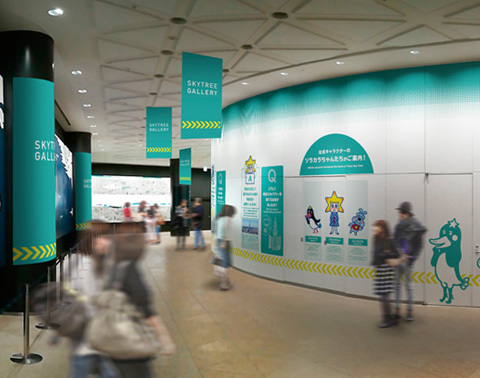 SKYTREE GALLERY is opened in October 2018, where you will enjoy learning the structure, features, and other trivia about TOKYO SKYTREE! 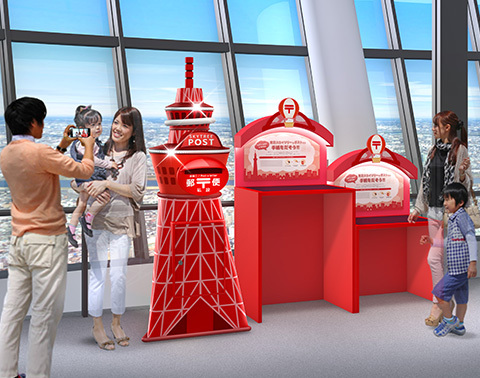 A tower-shaped red post has recently been placed in Tembo Deck Floor 345.The original frame postal stamps and postcards are available for purchase at THE SKYTREE SHOP on the 1st floor, the 5th floor, and Floor 345. We have launched a smartphone app service that provides information on major tourist spots that can be viewed from Tembo Deck Floor 350. 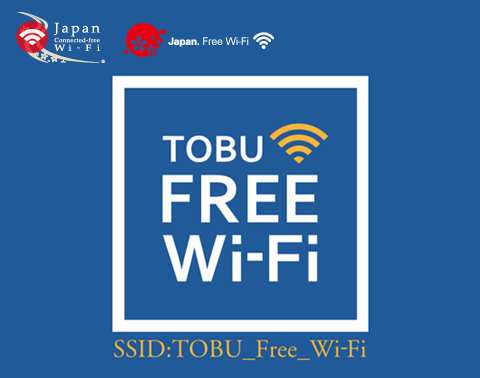 Visitors to TOKYO SKYTREE can make use of our free Wi-Fi service.